The kitchen is a focal point in your home. There are many activities and events that take place in this one area such as meal preparation and cooking to enjoying an in-depth conversation with family members. 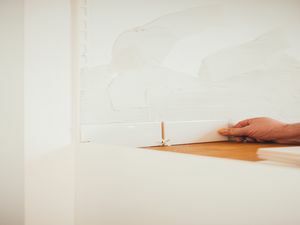 If you are considering a kitchen remodel, there are many critical details to consider — much more important than the type of countertops you wish to install. Here are several things you should consider during a kitchen remodel. A well-designed kitchen is one that flows from one task to another. For example, you should be able to rinse off vegetables, chop them up, and place them in boiling water without moving too far from one side of the room to the other. Additionally, think about the layout if you have multiple individuals in the kitchen with you. Will an island suffice for additional counter space? Is an L-shaped kitchen more ideal? A bright and well-lit kitchen can make all the difference in a home. A well-lit kitchen provides a welcoming and inviting feel to the space and makes it much easier to complete many tasks in this area. If your kitchen already boasts adequate lighting, consider how you can make it just a little bit better. Could you add accent lights, under-cabinet lighting, or additional lights in the pantry? It may even be as simple as updating the light fixture for a more modern design and improved energy efficiency. 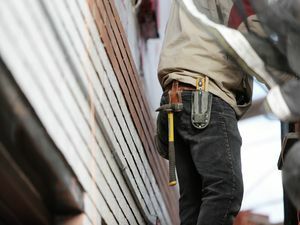 While you may not be thinking of selling your Collingwood home at the moment, you may consider this task in the future. To help you sell your home fast, consider what potential buyers would like in a kitchen. For example, choose more neutral colors and materials that are durable and versatile for families of all shapes and sizes. You may also want appliances that are popular among many homeowners and that offer long warranties. If you have questions on these types of features to include, ask an experienced real estate agent in Collingwood. While it can certainly be tempting to pay extra for a new dining set or a new sink which you don’t need — stick to your budget. 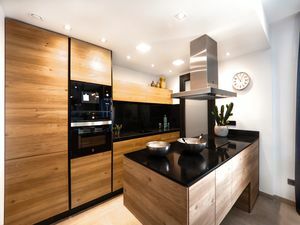 A kitchen renovation can cost you thousands of dollars and you don’t want to find yourself drowning in debt due to poor financial decisions. Look over your budget regularly throughout the project and make sure you stay on track. By keeping the above items in mind, you can create a spacious, gorgeous kitchen that you and potential buyers will love. Here are several home maintenance tasks you can complete today to ensure your home is ready for the upcoming spring and summer weather.